When using a fresh install of Eclipse CDT I found that the content assist was not working. This is the feature similar to autocomplete in Visual Studio, where you get completion proposals on pressing Ctrl + Space while typing code. 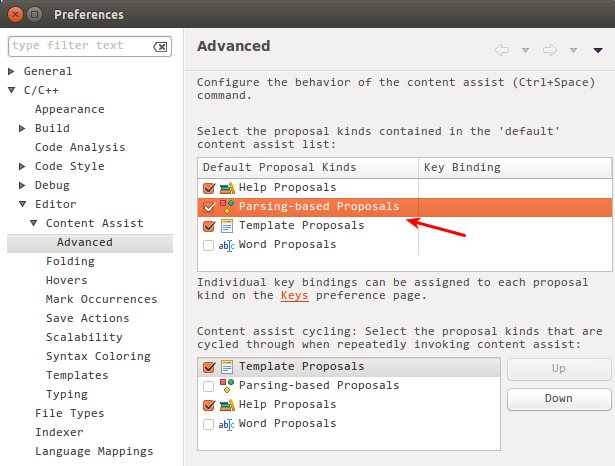 Go to Window -> Preferences -> Editor -> Content Assist -> Advanced and enable Parsing-based Proposals. Click Apply. Content assist should start working immediately. No restart of Eclipse required.